A comfortable and charming small hotel distinguished by personalized service and attention to detail. 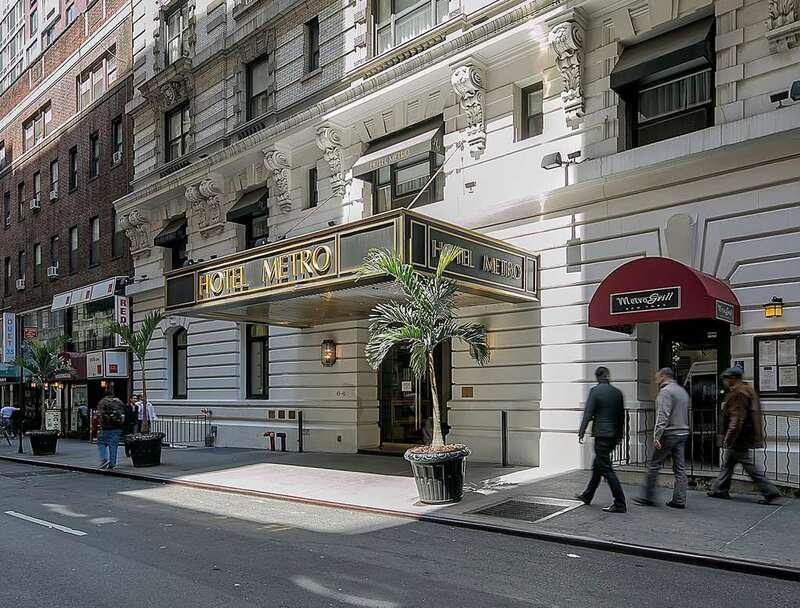 In the heart of New York City near businesses attractions and shopping. The Metro offers exceptional value with amenities including a roof terrace open seasonally with views of the Empire State Building. Our convenient midtown location - in the midst of Manhattan Fashion Center - is located just steps away from the Empire State Building Macys Jacob Javits Convention Center theatres and shopping. All reservations require credit card guarantee at time of booking. The credit card used for guarantee will be checked for validity to ensure sufficient credit is available for one night room and tax. We advise against the use of debit or check cards. Metro Grill located just off Hotel Metro main lobby serving Contemporary American Cuisine in a warm and inviting space featuring an open Kitchen and beautiful wood bar. Open since 1885 a neighborhood favorite just around the corner renowned for their delicious menu and great services as well as a fabulous display of churchwarden pipes owned by historical figures and all sorts of celebrity. With sixth-floor views of the Empire State building and three wood-burning ovens Stella 34 Trattoria is a modern Italian trattoria and the dining star of Macy flagship store.